The Duke and Duchess of Cambridge have mastered the art form of recyclable fashion, with the the couple sophisticatedly erasing the fashion faux pas of never wearing the same piece twice. And it isn’t just clothing where Kate and William re-use, with the vintage navy blue Millson pram sure to be brought out for another spin, after more than 50 years of service. 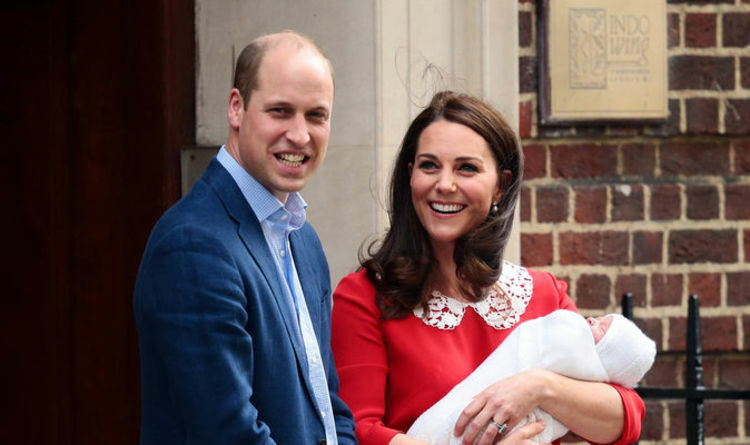 The newly born royal will be baptised on Monday, July 9 at the Chapel Royal in St James" Palace, the same place where his older brother, Prince George, was christened in 2013. Contrary to her two brothers, Princess Charlotte was baptised at the Church of St Mary Magdalene at Sandringham - the same church where the late Princess Diana was baptised. During the ceremony, nine-week old Charlotte wore a 2008 replica of a 1841 christening gown during her baptism, just like Prince George had done two years before. The dress, made with honiton lace, had to be remade as the previous gown had become so threadbare after years of use since the Victorian era. Charlotte and George were also pushed into the church with the same vintage navy blue Millson pram used by her two uncles 50 years ago. In a Royal Family photograph taken in the early Sixties, Prince Andrew, the Duke of York, was spotted in the very same pram while the Prince Eward, the Earl of Wessex was also seen sitting in the stroller, in a photograph taken in 1965, on the Queen"s 39th birthday. Despite being used several times, the pram appeared in pristine condition - as if it had never been used before. Even Prince George took part in the vintage fashion trend, sporting a similar outfit to what his father, Prince William, wore in 1984 when he first met his baby brother, Prince Harry - a white collared shirt, red shorts with white socks and leather shoes. When Prince George made his first appearance at Trooping of the Colour in 2015, he recycled his father"s romper, which Prince William wore 31 years ago, the very first time he attended the ceremony as a young boy. In an official family photograph taken with newly born Princess Charlotte in June 2015, George was spotted wearing the same blue socks, black shoes and white and blue shirt he had worn when he first visited his sister at the hospital a month before. The Duchess of Cambridge herself has elegantly recycled outfits during several royal engagements. During Meghan Markle and Prince Harry"s wedding in May, Kate re-wore the timeless off-white bespoke Alexander McQueen coat dress, which she wore to Princes Charlotte’s christening and again in 2016 at the Queen"s official birthday celebrations, Trooping the Colour. She also sported the same dress in Belgium on a royal tour. Even the Queen took part in the fashion trend, but with a twist. She wore a lace taffeta gown by Angela Kelly to a state dinner in Trinidad and Tobago, decorated with applique naional birds, which was replaced with Swarovski crystals when she re-wore the ensemble. Princess Royal wears the crown when it comes to vintage fashion recycling, having re-used several dresses, hats and handbags, jewelry and accessories - even wearing them decades apart. Her wardrobe is managed by her live-in dresser, Veronica Cain, who has worked for the princess since the nineties. According to her stylist, each outfit is catalogued, dust-wrapped and stored in a cool-temperatured environment. The Princess once said: "A good suit goes on for ever. The economy was bred into me."